R Dime 1420 “su mejor estación” was heard with a nice signal on February 22, 2015 during LEM354. The station was first logged in Finland during LEM224 in 2006 by PÄ and myself under it’s former name “La Marea”. In contrast to neighboring frequencies 1430 and 1440, 1420 is a troublesome one with regards to signals from the La Plata region. In the past the “dominant” LP station was the Uruguay-station R Lavalleja, a station that has not been heard for many, many years. R Guyrá Campana in Paraguay has been logged once in Lemmenjoki. During the last couple of years, however, R AM 1420 or “Radio Dime” has been on the top. After som f/ups I received a confirmation on my mp3 of February 22, 2015 from Daniel Soria: “Hola Jan Erik. Soy Daniel Soria, uno de los periodistas de la emisora. Muchas gracias por tu envió. Es muy grato saber que a tanta distancia nos pueden sintonizar. Hemos recibido tu audio en MP3. Un abrazo para toda tu familia.“. Mil gracias Daniel!!! 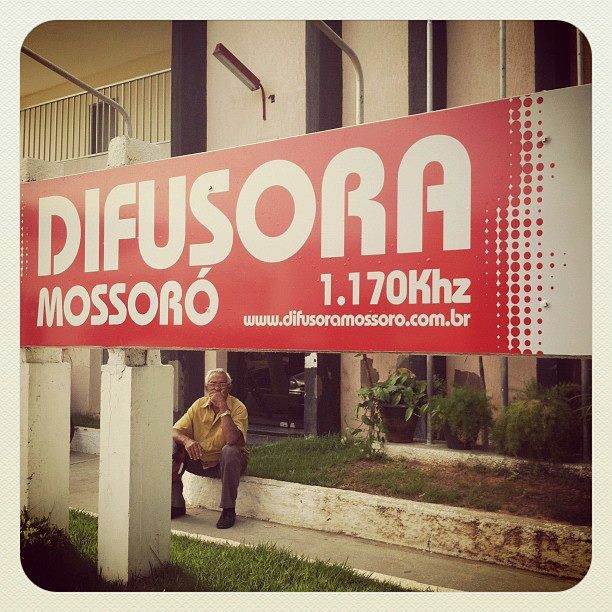 R Difusora, Mossoró RN was heard in Lemmenjoki on 1170 on October 26, 2011 with a surprisingly good signal for some minutes. Even though no definite ID the local PSA doesn’t cast any doubts on the identity. Even though the frequency holds close to 20 Brazilians only a couple have been heard in the Nordics. Even the most common Brazilian here, R Atalaia, Curitiba, PR is a quite rare catch here. I sent a f/up to Mossoró some time ago and today Emerson Linhares. Diretor de Jornalismo e Programação confirmed my hearing. Muito obrigado Emerson! On April 25, 2015 the Cuban radio station CMBF Radio Musical Nacional celebrated it’s 67th year of broadcasting. confirmed my reception today. Gracias Saimi! !